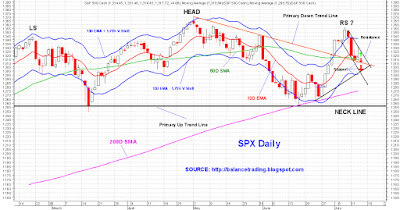 SPX will very likely test its 50D SMA tomorrow. 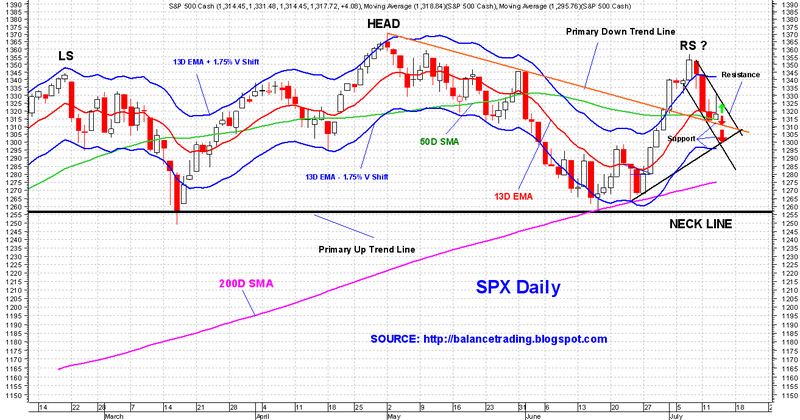 A move below 50D SMA and the primary down trend line (orange) could accelerate selling and push SPX to test 1300. I scaled into short positions in my long term portfolio today. My plan to add more shorts once SPX moves below its 50D SMA, probably tomorrow.